Hello guys! 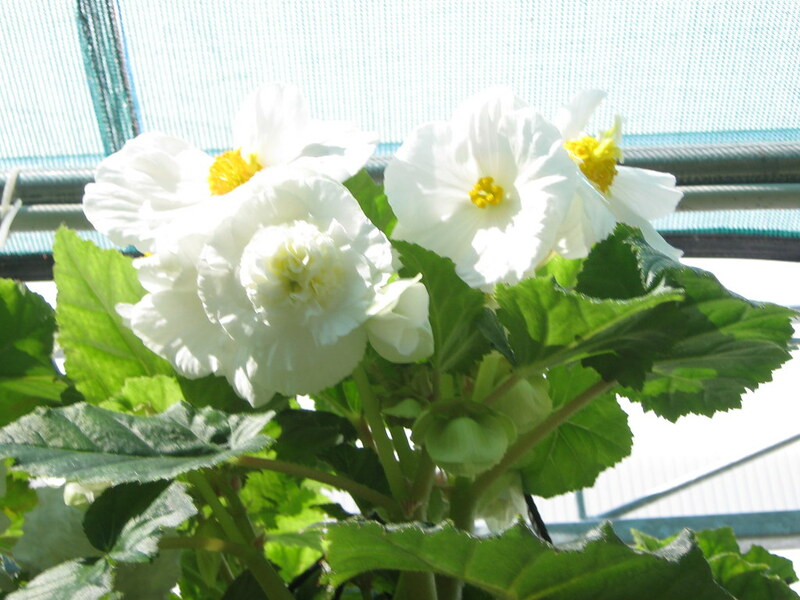 A beautiful and very attractive color of white Tuberous Begonia flower the warm climate plants. They easily grow during summer and last until fall. Aside from white, begonias have also yellow, orange, red and pink. Thanks for leaving a message. If you wish to join Today's Flowers, hosted by Luiz Santilli, Jr, just click the icon, participate and add your URL in auto-links below. See you there!!! Beautiful! I came from skywatch~great blog, couldn't find your skywatch entry! But enjoyed your other post~camera critters, and ruby tuesday, & scenic sunday! Pure white is always beautiful! That's a very beautiful flower, Norms! My flower photo is now posted here. Have a great week ahead! This is a lovely photo! I have begonias as well, I love the white ones. I love white flowers, and these are very pretty!